Max Appliance Houston is the first name that comes to the mind of any dryer operating person in Houston whenever he/she faces any type of problem with his/her dryer’s proper working. There can be a number of problems surrounding your machine dryer that need expert supervision. 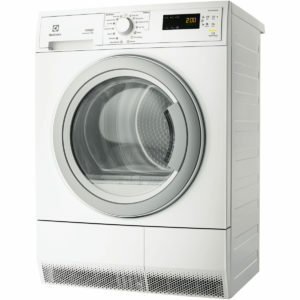 Whether your dryer drum is not turning, it is not heating, overheating, making noise, not spinning, taking too long, tripping the breaker, or even not starting or stopping, our expert dryer technicians would have a look at the appliance and come up with a quick and smart solution for its repair. You can get any type of dryer repair service from our highly trained technicians to get your dryer up and working again in the perfect state. We have experts who have been taking care of the repair work for all types of refrigerators in Houston. They are professionally trained and have the necessary certification to perform repair services your dryer appliance. They can easily look into your dryers and determine what the problem is. These experts have been trained to repair all the build, make, model, and size of dryers. Whether you have a front load Dryer or top load Dryers, such as Electric Dryer or Gas Dryer, we would look into the appliance and come up with a cost-effective and energy-efficient solution. We repair all the brands of dryers like Amana, Asko, Bosch, Frigidaire, Kenmore, Kitchen Aid, Hotpoint, Maytag, Sears, Thermador, Viking, and Whirlpool as well. So, why waste time in trying to repair a dryer when you can get expert dryer repair service at a very low price in Houston. For on time and on-site Washer Dryer Repair in Houston Tx/ Dryer Machine Repair Service in Houston/ Dryer Drum Repair Services in Houston Tx, clients can count on us.